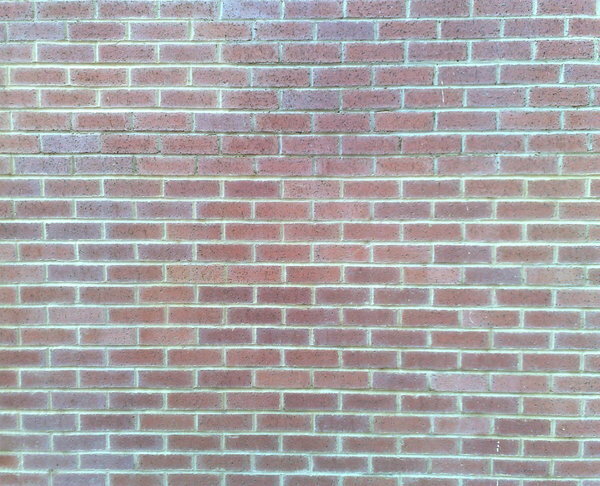 The quality of re-pointing and repair of face brickwork can vary vastly in our industry. We ensure our finished work avoids smeared brick faces, out of line coursing and poor brick / mortar matching. Of course over the years the variations of brick types and sizes have made repairing of existing brickwork quite a challenge. This is where our ethos of attention to detail and thoroughness of research pays off. Left is an example of brick repairs and re-pointing of a 1980s seafront property. Prior to commencement of the main work sample mixes and brick matching were carried out by one of our team proving that a few extra hours of preparation can make a vast difference to the finished quality. Obviously not every masonry job is as straight forward as the laying down of brick on brick. With regional variations in both modern and traditional masonry the experience we have gained in our area ensures that every method can be reproduced accurately. 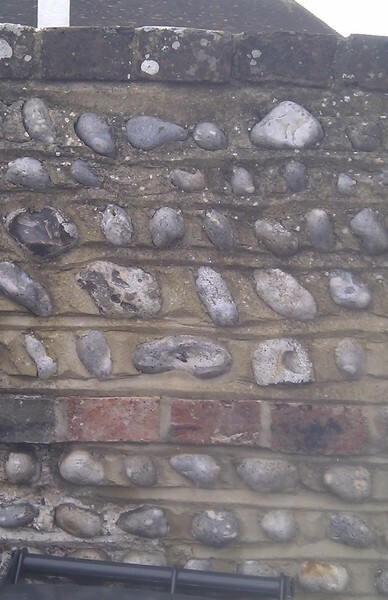 Right is an example of a flint featured boundary wall commonly found in rural areas of East Sussex and older parts of Eastbourne. This repair again was an exercise in thoroughness and attention to detail. Notice that here even the mortar bed has its own feature work. Face brickwork as an internal feature has become more popular over recent years. Here we see a mixed internal skin of masonry. In this kitchen extension the lower section of thermal blockwork is terminated at kitchen unit level ready for plastering in the normal way. A feature brick panel was then constructed to give a rustic appeal together with an electrical point ready for an extractor hood. We know that that our Clients are looking at this work on a daily basis and so we make sure it is given that extra attention to detail. 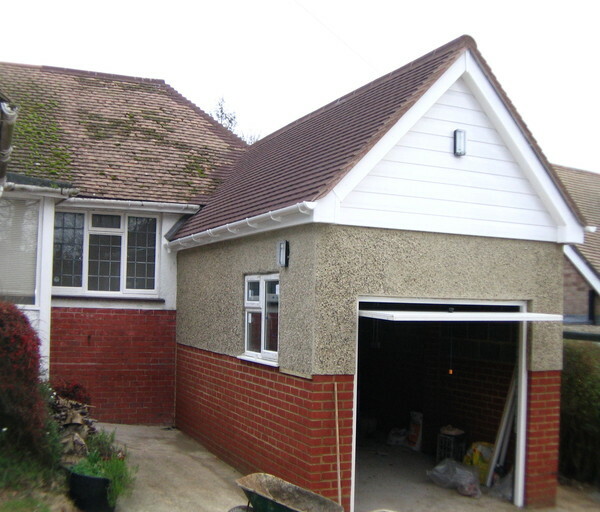 In this garage and utility room extension of a 1930s bungalow notice the seamless match our bricklayers achieved with the stock brick we were able to source from a local brickyard. In this instance the top section of masonry was required to be pebble-dash matched which again was approached with the same attention to detail in terms of render mix, texture and aggregate size and shape.